Ray Sclafani, after developing the Advisor Institute for Alliance Bernstein, set out on his own to help financial advisors continue learning how to run sustainable, durable and profitable businesses. He founded ClientWise, the premier business and executive coaching firm working exclusively with financial professionals. We specialize in helping clients optimize growth and maximize revenue by engaging as a knowledgeable partner in accomplishing specific and significant business results. Since ClientWise was founded in 2006, we have interviewed thousands of financial advisors, teams, and Registered Investment Advisors with a minimum of 10 years of service, $250 million in assets under management and $3 million or more in production per year. Using data from these interviews, we constructed our proprietary model for financial advisory practices, The Professional Advisory Model™. The PAM™ breaks down a financial advisory practice into seven key categories focused on leadership, growth and innovation, and serves as a roadmap for content throughout the workshops. Which area can the eXchange™ help you with the most? Organizing Priorities: Organizing and managing priorities is a necessity for every top-performing financial advisory practice. ClientWise helps advisors determine their organizational goals and priorities and create an accountability schedule. Client Engagement Model™: Develop a steady stream of introductions coming from a select group of clients with whom they commit to regularly engaging. This ultimately benefits their clients and their business. Client Acquisition Strategy™: Top-advisors understand the value of a written, coherent client acquisition strategy. This should include: opportunity management, pipeline management, lead generation, lead conversion, and lead qualification, and should be referred to consistently so as to never miss a potential opportunity. Marketing Approach: A strong marketing strategy drives client acquisition. 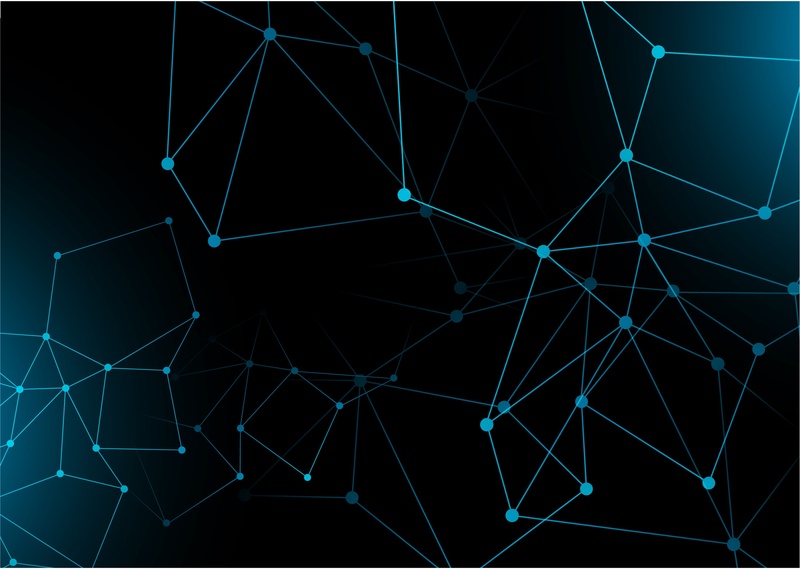 Building a brand, defining your services, and ensuring coordination of all marketing touch points—to include client segmentation, digital marketing, marketing communications, public relations and advertising—builds a financial advisory practice that generates increasingly qualified leads with increased potential for client satisfaction. Team Development: A financial advisory practice is only as successful as its team. Advisors who understand the power of common-intent and continually strive to set team goals and well-defined roles and responsibilities within these, are better prepared for future success than the highest performing soloprenuer. A well-developed team provides additional strength, balance, accountability and success. 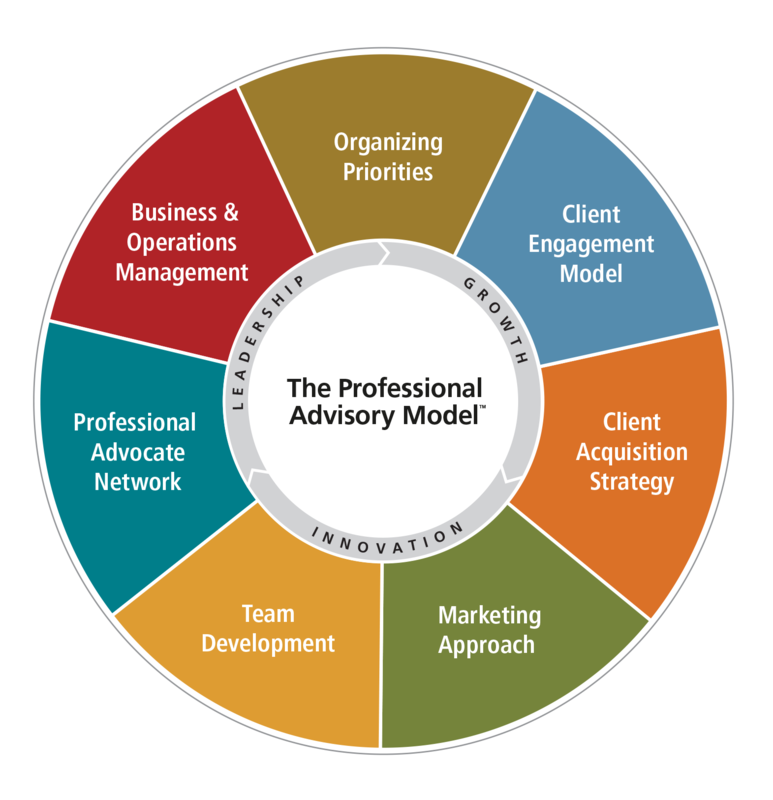 Professional Advocate Network™: Your role as a successful advisor requires working with professionals in other areas of financial services or periphery centers of influence to best serve your client. Learn how to approach and nurture these relationships and manage them to the benefit of both parties, resulting in far more meaningful advocate relationships for both advisor and client. Business & Operations Management: Hiring operational talent and streamlining processes allows for faster growth, more opportunity, and higher quality of life both in the office and at home.